Coming to a test centre near you? Worrying news reaches me that all is not well among the ranks of driving examiners. As we know, waiting times are increasing all over the country and many examiners are retiring when they could stay on a little longer simply, some say, because morale within their numbers is very low; a number are reported to feel that the DVSA is no longer a happy place to be. 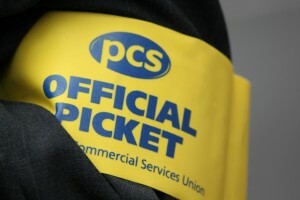 Much of the discontent appears to be connected to the Modernising Employment Contracts (MEC), a cross government initiative designed to standardise the hours worked by all civil servants. It has been suggested to me that this was never a great deal in the first place and that most people who voted for it did so on the basis that the alternative was no pay increases, forever!